Non-Traditional Security Studies (NTSS):A Theoretical Framework Barry Buzan The Montague Burton Professor of International Relations at the LSE and honorary professor at the Universities of Copenhagen and Jilin. HIV/AIDS,Globalization and Human Security Dennis Altman Professor of politics,Director of the Institute for Human Security,La Trobe University,Australia. China,the United States and Europe:Trilateral Cooperation and Competition Chen Zhimin Jean Monnet Chair Professor at School of International Relations and Public Affairs,Fudan University,Shanghai. China and International Order Revisited:A Political Sociology Perspective Pu Xiaoyu PhD Candidate for Department of Political Science,the Ohio State University,U.S.A. The Epistemology of China's Rise and Its Narrative Derivatives Chih-yu Shih Teng-chi Chang Chih-yu Shih,Professor of Political Science,National Taiwan University;Teng-chi Chang,Assistant Professor,Institute of Strategic and International Affairs,National Chungcheng University. "Normative Power Europe" and EU's Diplomacy to China Hong Yousheng Professor of School of Interantional Studies,Nanjing University. 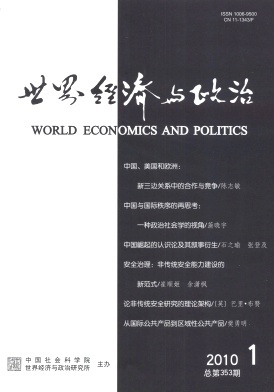 Perception of Interests and Internalization of International Norms:A Case Study on China's Internalization of Norms in International Climate Cooperation Kang Xiao PhD Candidate for international relations in the School of International Studies,Renmin University of China. Security Governance:From the Perspective of Non-traditional Security Management Cui Shunji Yu Xiaofeng Cui Shunji,Lecturer of International Politics,Department of Political Science,College of Public Administration;Research Fellow,Centre for Non-Traditional Security & Peaceful Development Studies,Zhejiang University,China;Yu Xiaofeng,Professor,College of Public Administration;Director,Centre for Non-Traditional Security & Peaceful Development Studies,Zhejiang University,China. International Order:A Critical Constructivist Analysis Han Zhili PhD,East Asian Studies Center,China Foreign Affairs University. From International Public Goods to Regional Public Goods:A New Perspective of Regional Cooperation Theory Fan Yongming Professor and director of International Politics department at School of International Relations and Public Affairs in Fudan University.